Dried fruits are versatile and tasty. Be it after sports, for cooking or as a small snack between meals. The drying process prevents the growth of mould-producing micro-organisms, which means that our products keep well. Dried fruits are rich in vitamins and important mineral nutrients such as potassium, calcium, phosphorus, magnesium and iron. They contain large amounts of carbon hydrates (fructose, glucose) and fibre. Enticing, colourful dried berries invite you to have a nibble and enjoy their sweet or sour taste. There is more to ginger than grinding the root and using it as spice or eating it raw, it can also be sugared or candied thus making a yummy sweet. Drying is not limited to fruit, vegetables can also be dried. They gain an especially intense taste by the drying process. 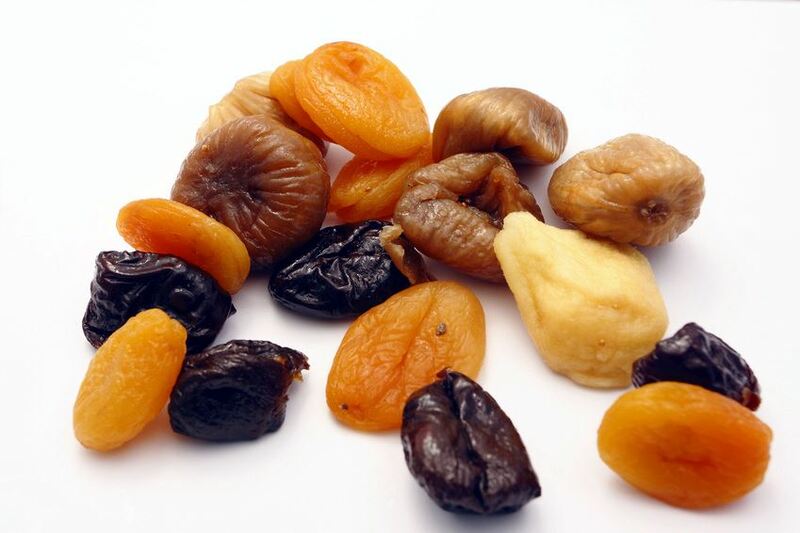 Dried fruits are among the most healthy treats and are a very tasty change for heavy food. Southern fruits like pineapple, bananas, kiwi fruits, mangos or papayas are as suitable for cooking as they are as a sweet snack or as power food.